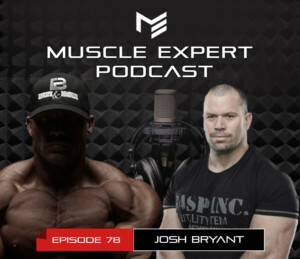 Jailhouse Strong World Record Powerlifting Coach and Author Josh Bryant joins us today to school us on what it takes to be the best in the world. A prolific writer and master of the process, Josh shares some great behind the scenes coaching tips that has helped his clients break world records. He also gives us a master class on the mindset that it takes to be the best in the world! 1:35- Jailhouse Strong– the origin story How Josh started his found freedom and his brand in high school. 3:10- Josh’s not so secret training strategy- how he trains isometrics to recruit motor neurons and break world records. 8:25- Get strong! Josh gives some tips on how he drives up his clients weights. 14:10- “Paying for past sins”- an injury prevention guide. The key advice, stop training with your balls and start training with your brain. Set your goals with a purpose. 18:20- How Josh ended up in strength training and found his career at age 16. 20:45- Why world records keep getting broken. How the surge in popularity and switch to raw has brought out the best in the sport. 24:00- Nutrition and powerlifting. Building your physique to maximize your potential. And ketogenic dieting as a powerlifting. 27:00- Hacking your body to increase your output. 30:05- The mental game, what mindset does it take to lift crazy heavy and become the best in the world. 37:45- Josh’s strategy for breaking out of your plateau. Looking at variables to drive up your gains. 41:30- Enhanced. How have drugs, particularly peptides, changed powerlifting. 48:10- Where is the sport of powerlifting going? How the internet and increased popularity is good for the sport. 49:20- Mistakes not to make. Josh’s advice for people who are just getting into powerlifting. 50:30- The man, the myth, the author. A brief rundown on some of Josh’s books.